It's almost time for A Game By Its Cover again! 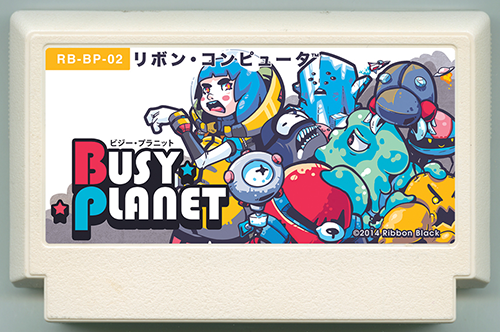 This semi-annual game jam pairs indie developers with entries from past and present Famicase Exhibitions to imagine what their fake games might be like if they were...not fake. It isn't required to get the artists' permission, but if any AGBIC participants happen to know about this blog I am totally cool with my Famicase entries being used as inspiration for your games! Here are my previous entries along with their text blurbs. One thousand dungeons! One million monsters! Experience the flower of adventure. 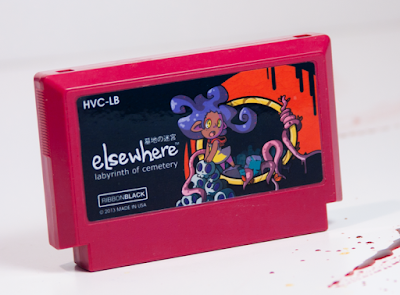 You are in an eerie place known only as ELSEWHERE. Can the lost monster girl escape the Great Graveyard or will she become its newest resident?